In an extraordinary move demonstrating how desperate the Morrison Government was to avoid losing a vote on the floor of Parliament, a Liberal MP was secretly flown back from the United States to shore up the Coalition’s numbers in the final sitting week of last year. 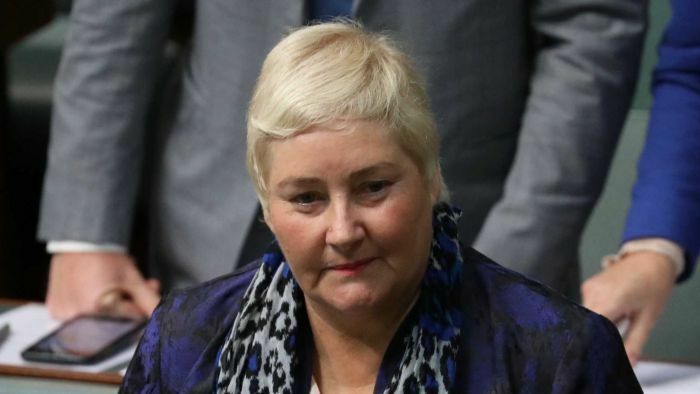 The Liberal Party paid for backbencher Ann Sudmalis to return to Canberra from New York, where she was on a three-month delegation to the United Nations. Few knew Ms Sudmalis was in the country, let alone the building. She had flown in under the cover of darkness and locked herself in her parliamentary office, where for hours on end she watched the live feed of the House of Representatives and waited, in case the Coalition needed to use her as a secret weapon. The mood in that final fortnight was chaotic. The Government was nervous; it had never been in a more precarious position. The swearing-in of independent MP Kerryn Phelps marked the Coalition’s official descent into minority status. Adding to its woes, Home Affairs Minister Peter Dutton was forced to take two weeks off to recover from surgery and then, in a shock move, Julia Banks quit and moved to the ever-expanding crossbench. They were worried Labor hard-heads would see an opportunity to bring down the Government and withdraw a pair (an informal agreement between two MPs on opposing sides to abstain from voting) to boost their numbers. Despite the fact it would be an extraordinary move, and despite repeated assurances from crossbenchers Cathy McGowan and Rebekha Sharkie that they wanted Parliament to run its full term, the Government was not taking any chances. So they decided they needed to prepare. They needed Ms Sudmalis back in the country. With four sitting days to go, Ms Sudmalis flew more than 16,000 kilometres to be on standby. So reluctant to have her presence known, journalists who went to check on her whereabouts got no further than a locked door and parliamentary office with its lights out. It wasn’t until late in the week that she was sprung. A couple of Labor MPs were walking into the chamber and spotted Ms Sudmalis sitting in an adjacent room. The ABC understands she assured them she was just there to observe but her presence was quickly reported to the party’s whips. In the end, the Coalition survived the week and Ms Sudmalis departed Canberra the way she arrived, with many of her colleagues none the wiser. While unusual, she is not the first MP to have been recalled from a UN posting. In 2011, Liberal Steve Ciobo was ordered to fly back to Canberra to vote on Labor’s contentious carbon tax. Warren Snowden cut short his secondment to ensure he could cast his ballot for the new Labor leader in 2003. In those cases, the contests were so tight that every vote mattered. In Ms Sudmalis’s, it shows just how close to collapse senior Liberals feared the Government was, in the dying days of last year.